Hello everyone! Yesterday (January 18), Ashlee and Evan gave their last show of their tour in Los Angeles at The Roxy. It was the last show for now, Austin Brown made some lives on Instagram where he talks about a possible second part of the tour and maybe in Europe too. For this show, Ashlee and Evan promised a surprise and it was Verdine White who were on stage with them during the song ‘I Do’. It was Tina Simpson’s Birthday (Ashlee’s mom) so Ashlee asked the audience to sing her ‘Happy Birthday’, it was such a sweet moment! According to some fans who went to the show, cameras have been seen so it looks like we will have a second season of Ashlee+Evan. Plus, all the family and friends of the couple were there to support them : Diana Ross, Jessica Simpson, Tracee Ellis Ross, Ryan Cabrera and many more! 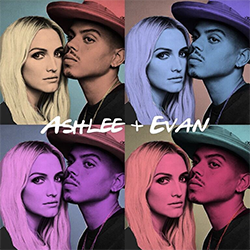 You will find the pictures of the Meet and Greet and the show on the gallery + the videos (& a video of Ashlee and Evan when they were in Nashville) below + the official pictures of the show on the gallery.